Cupcakes 'n Daisies: Planning Ahead . . . .
Max and Whiskers by Basic Grey for Moda. This is the first line of fabric I've purchased by Basic Grey. as soon as he stops growing, so I know what size to make! Cooper demands equal blog time. 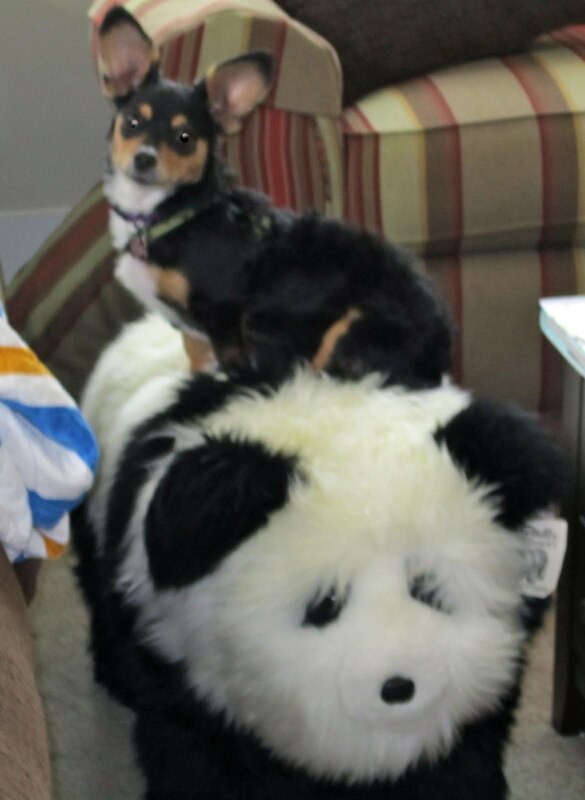 Two dog pictures, each with a panda, even-steven I would say. Today, Nicole over at Sister's Choice, is kicking off week two of the Fat Quarter Winners by Monique Dillard Book Tour. I think she even has a tutorial, be sure to stop by! Can't wait to see what you do with that...I've looked and looked at that fabric...my grand daughter loves dogs, so it's perfect. Need a plan! LOL! That is a cute fabric line! Have fun with it! I'm looking forward to seeing what you come up with. My 2 pups would probably like a quilt too. They like to lay on really soft things though and I think they would like something backed in minkee. Cooper has a VERY wise and knowing look. 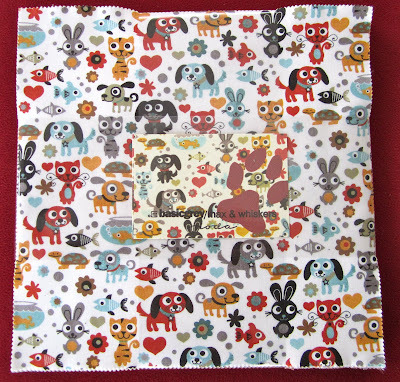 The Max and Whiskers fabric is so cute! Can't wait to see how you use. I love this fabric and am working on 2 different quilts with it. It is perfect for Tucker. Love that fabric line! Bought a fat eighth bundle and some addt'l yardage. Already know what I'm doing with it, which is amazing for me lol. 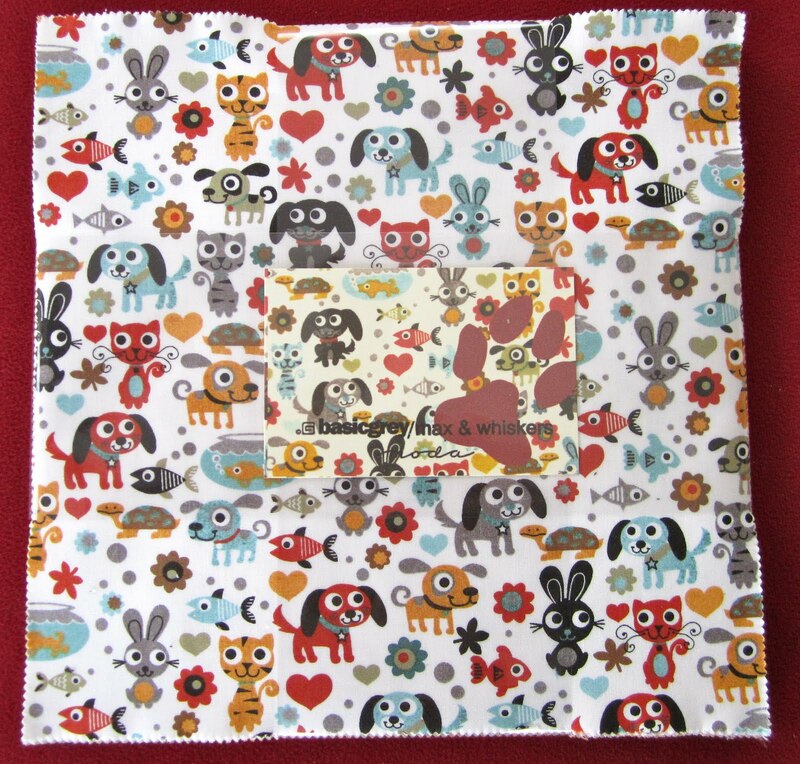 I sent a pack of that fabric to a friend for her birthday~ and then wondered why I didn't buy more! lol Have a happy day! That fabric is sooo cute!